Shown with options: Allen Keyboards, Drawknobs, Genisys Voices and lighted clear-acrylic music rack. ALLEN G330 is available in many configurations. Available with Internal or External speakers. 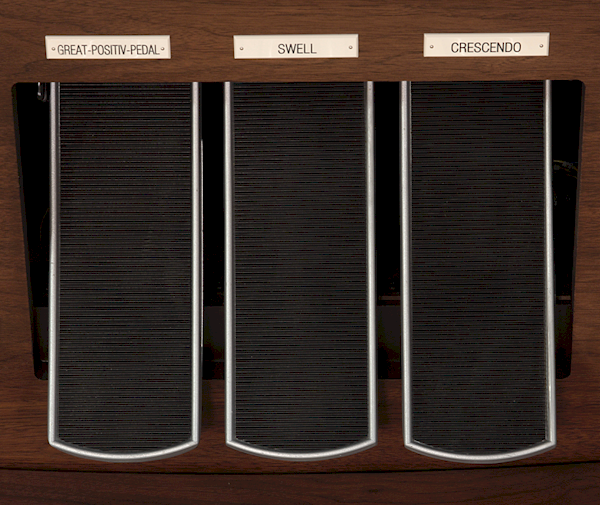 Shown with options: Drawknobs, Allen Keyboards, and Theatre Stop List engraved in red. 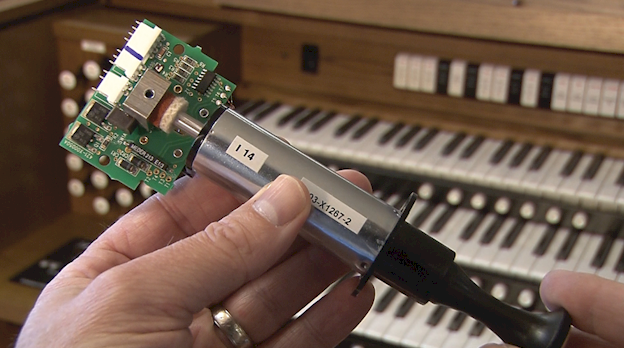 A digital church organ is a unique product utilizing modern technology to reproduce an art form whose heritage comes from pipe organs. 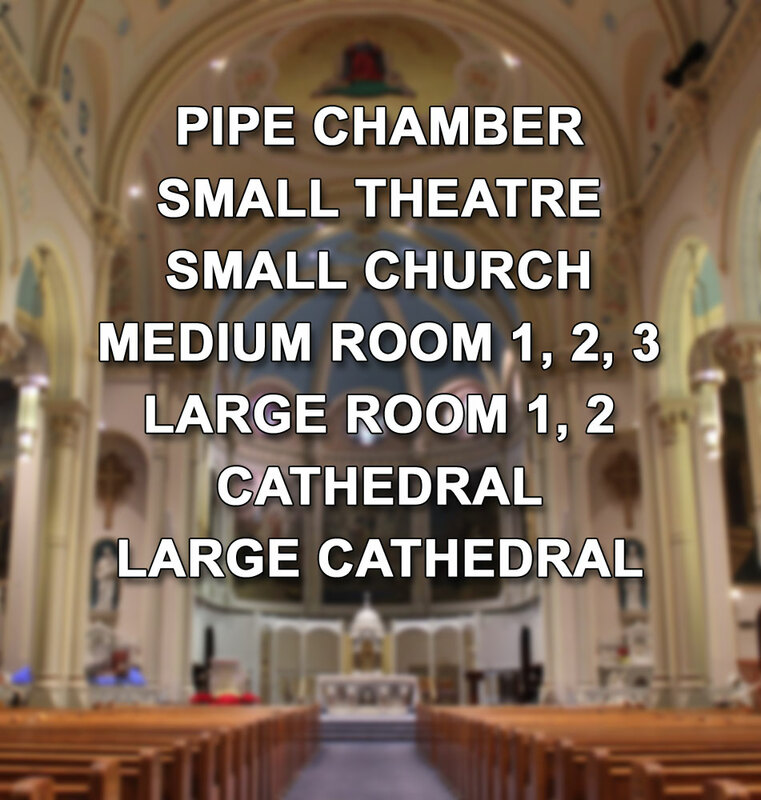 Superior sound comes from a combination of greater experience sampling pipe organs and advanced sound-producing technology. Experience matters! 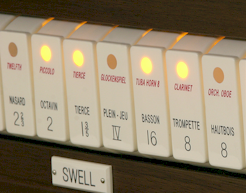 Allen introduced the world's first digitally sampled organ in 1971, nearly two decades prior to its nearest competitor. 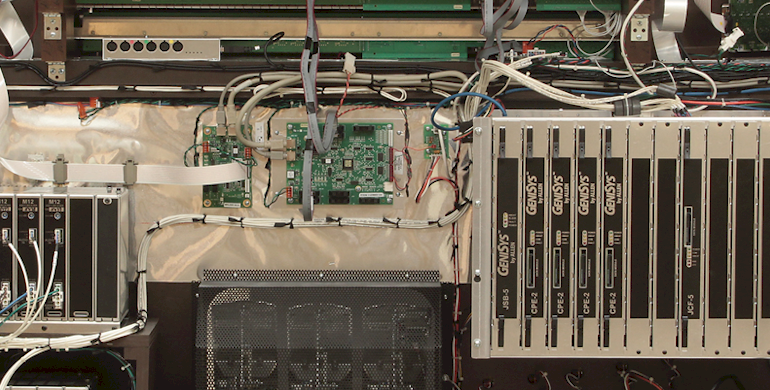 Allen's current GeniSys™ technology includes up to 48 advanced DSP's (Digital Signal Processors) working in parallel; supercomputer power for superior sound production. 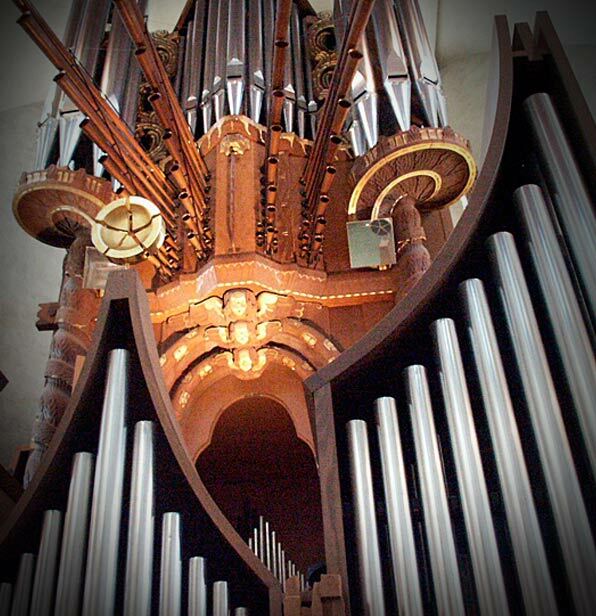 And Allen organs can be voiced to perfection to any school of organ design! 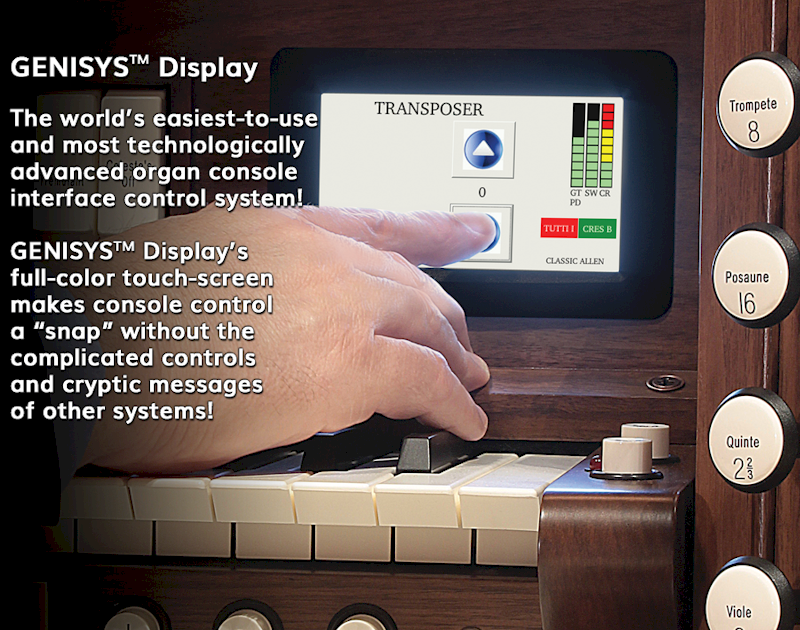 Today, the preference for Allen sound extends even beyond the realm of digital organ customers to pipe organ owners. 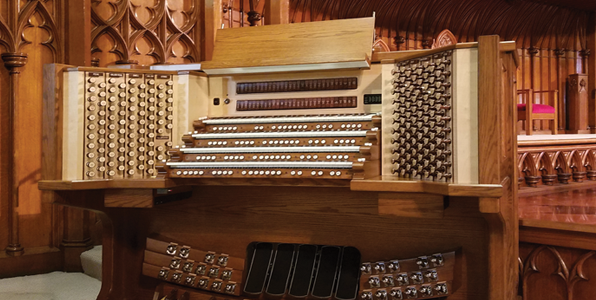 Notably, Allen is chosen as the organ builder of choice to add digital voices and advanced consoles to hundreds of pipe organs throughout the world, including prestigious European installations. With unmatched tonal quality and sophisticated technology, Allen is pleased to help preserve and advance an important art form. It's why we exist. 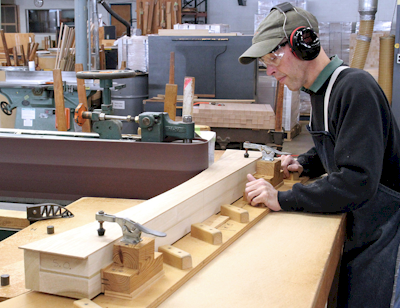 Allen is the only digital church organ builder to fully finish the interior wood of the console to protect it during its many years of use. All key electronic components are housed within a protective metal chassis to guard against electrical shocks, another Allen exclusive. 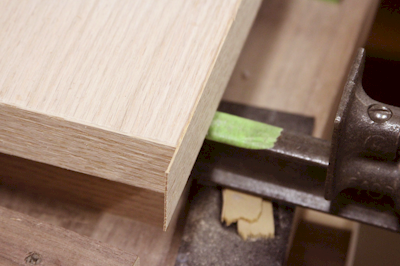 Using select woods and veneers, Allen craftsmen blend modern and traditional woodworking techniques to assure precision shaping and hand-crafted console assembly. 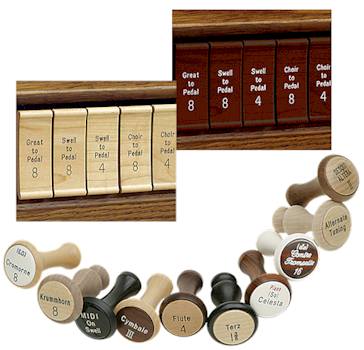 No "knock-down" quality in an Allen Organ. 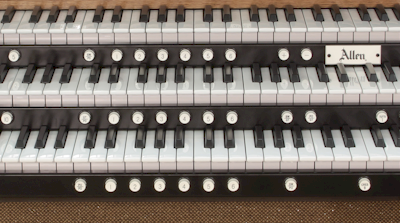 While plastic or wood expression pedals can be found on some church organs, they do not meet Allen's demanding quality standards. Cast Aluminum expression shoes are built to last a lifetime! 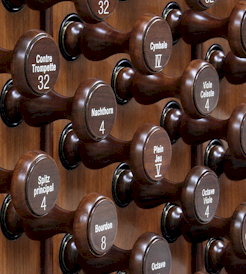 Sturdy metal construction fully protects the organ's interior against damage from pests entering the organ console. Just another example of Allen's dedication to quality and our customers. Allen dependability is legendary. 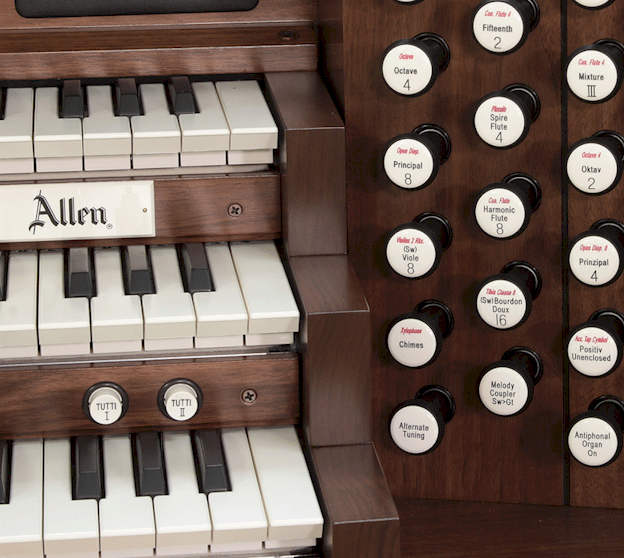 Backed by a ten-year parts warranty, Allen Organs require no periodic maintenance or tuning. 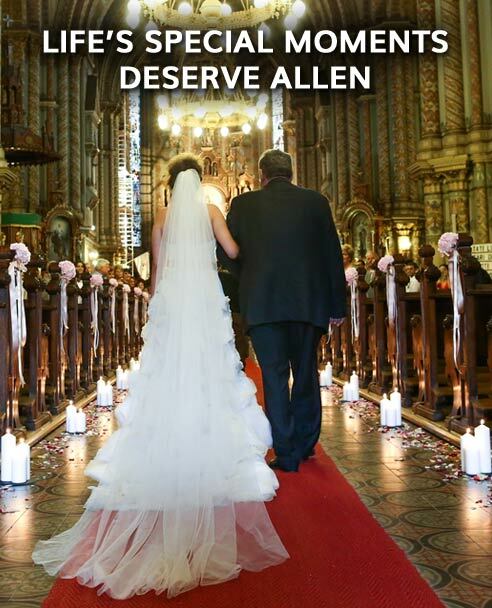 In the unlikely event that an Allen requires service, it is performed by factory-trained Allen technicians. 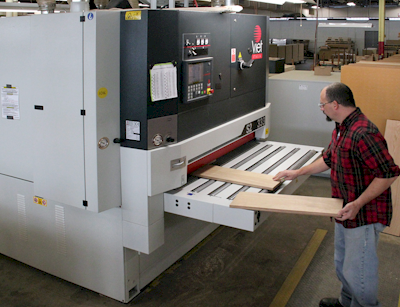 Allen representatives keep a supply of spare parts on hand for service needs. 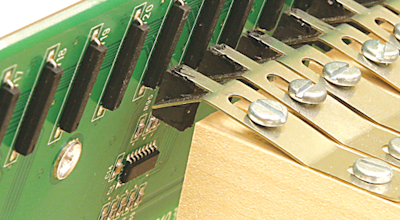 The modular design found in our organs, ensures quick and easy service, without the necessity for on-site soldering. 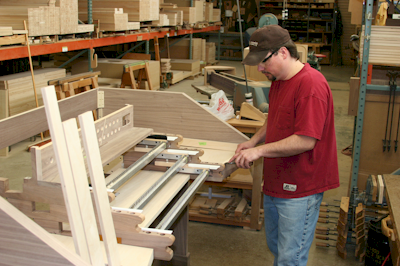 The relationship between Allen and its customers doesn't end when an instrument is installed. 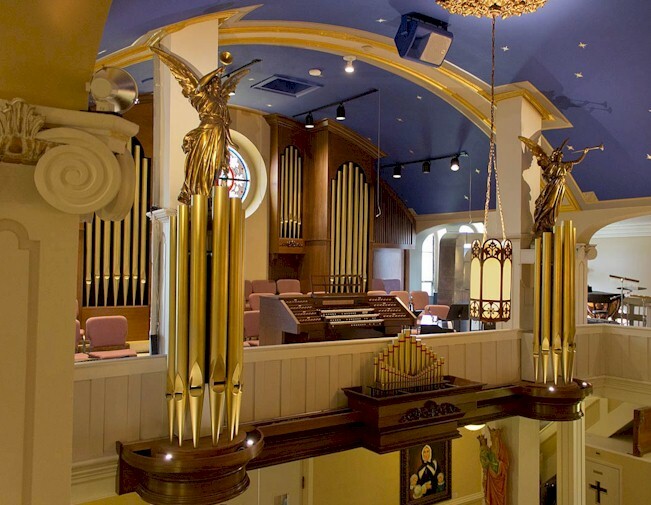 Allen's commitment to customer satisfaction continues long after an organ is installed. 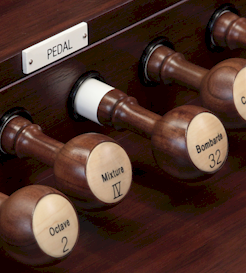 The G330 can be customized to suit your personal and church organ requirements. Just ask! 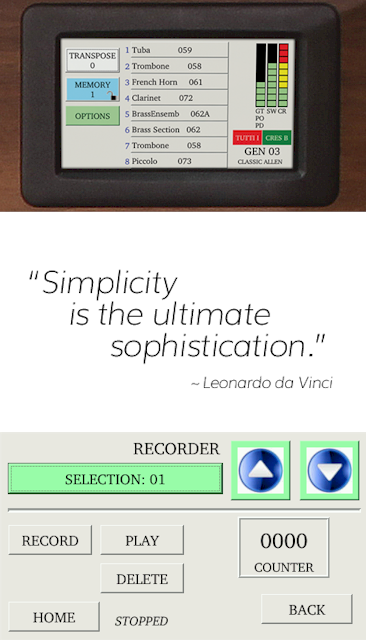 Allen designs and builds its own controls to provide the highest quality at affordable prices. From state-of-the-art Lumitech™ stops with advanced LED's to moving drawknobs, every control choice reflects Allen's uncompromising standards that ensure years of maintenance-free service. 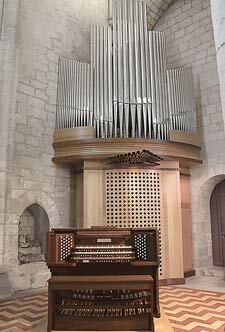 The standard keyboards supplied with Allen church organs allow Allen to provide instruments with Allen console features, quality, and sound at affordable prices. 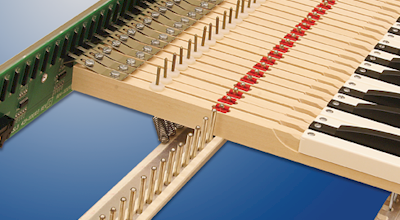 The Allen keyboard utilizes sealed contacts and wood keysticks to provide the ultimate in touch and control. The level of quality and adjustability of Allen keyboards makes them the envy of the industry and the choice of discerning musicians. 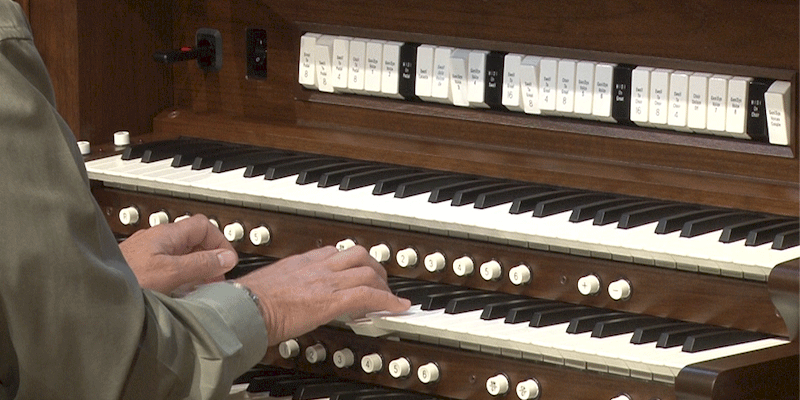 The key contact, while unseen, is an important part of any church organ. If one fails during a performance, the entire musical program can be compromised. 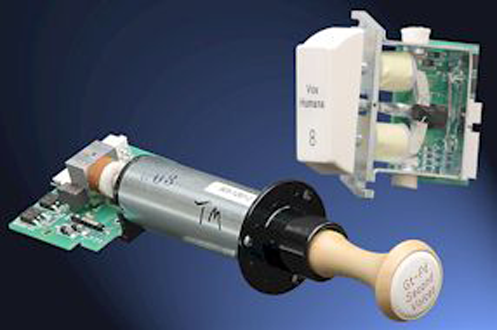 Allen has introduced a maintenance-free system in which a sealed reed switch is engaged by magnet. 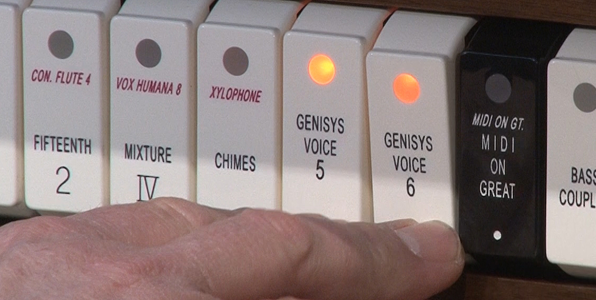 Neither dust nor the environment will compromise your music program with an Allen Organ. 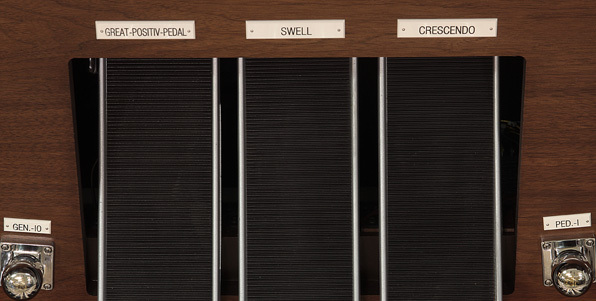 From the multiple stop list versatility to the distinct sounds available in all ALLEN organs, each stop list is independently voiced with its own audio settings. The "signature" specification that made Allen the world's favorite organ! 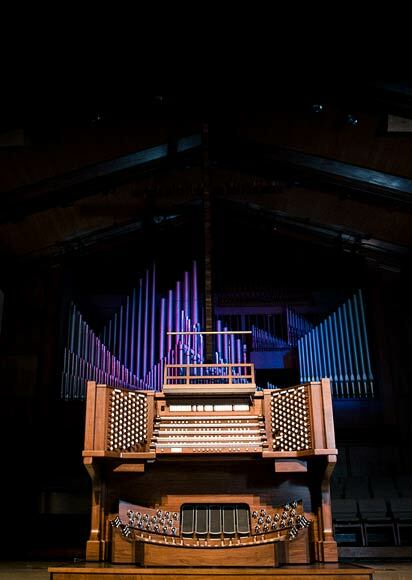 Allen tonal directors created the specifications of Allen digital organs by selecting their favorite samples from fine pipe organs throughout the world. 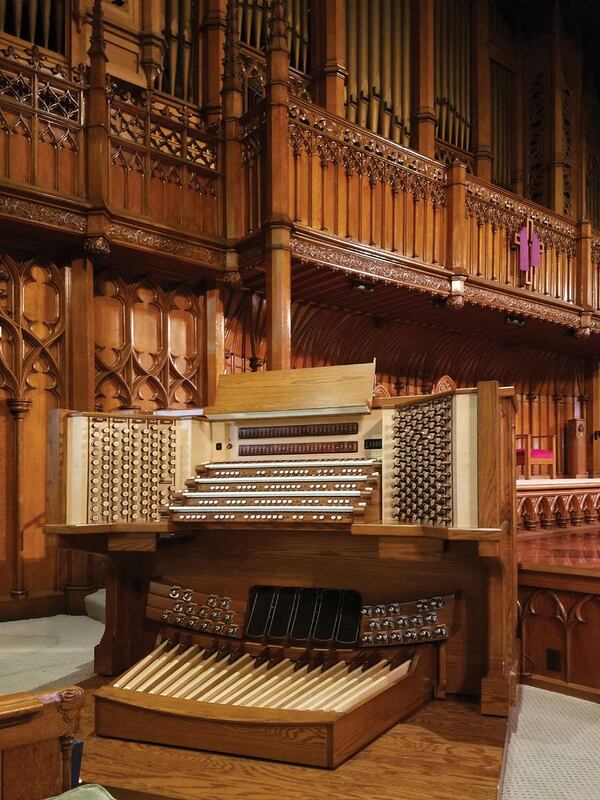 Characterized by Diapasons and weighty reeds, this style of organ building was brought to its height by renowned 19th-century British organ craftsman Henry Willis. Progenitor and master of the 19th-century French style with fiery and dominant reeds; symphonic tonal schemes. 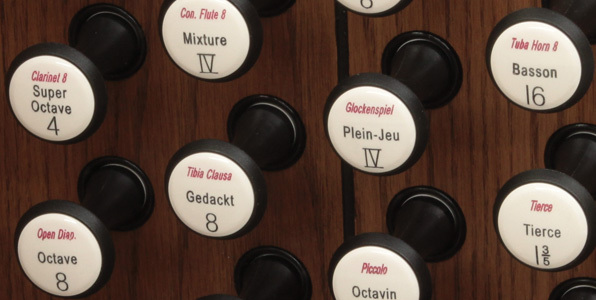 Neo-Baroque scalings by The Schlicker Organ Company; 20th-century revival of 17th-century North German ideals. Master German builder who brought the bright, incisive Werkprinzip style to its zenith. 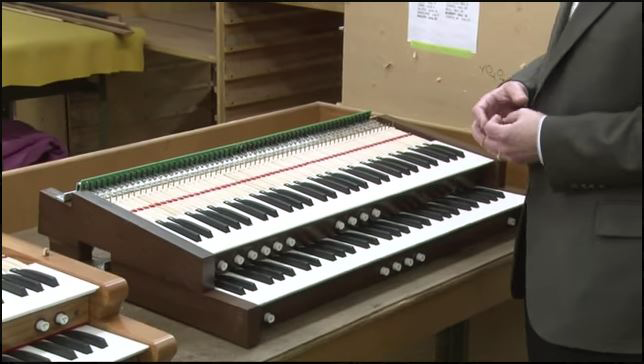 Under the tonal direction of G. Donald Harrison, this company developed the American Classic tonal design, characterized by firm and articulate principals, bright mixtures and French-style reeds. Its versatility enables the American Classic to authentically perform a broad range of musical styles. Today, a touch screen is a requirement of any advanced product. 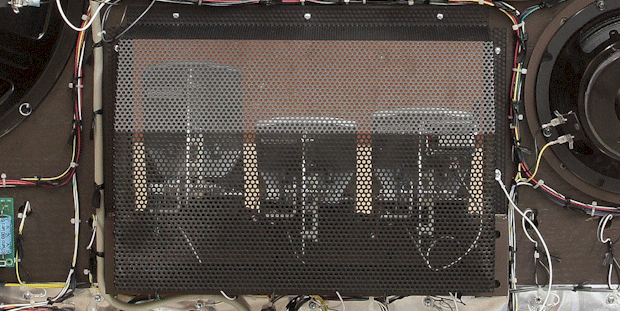 Dry, crisp acoustics designed to make spoken words easy to understand can make music sound brittle and uninteresting. 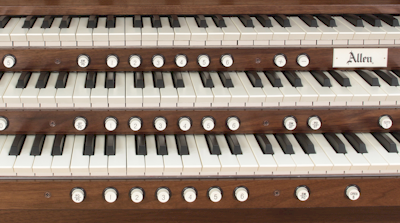 Organ sound, especially, comes alive in more resonant spaces. 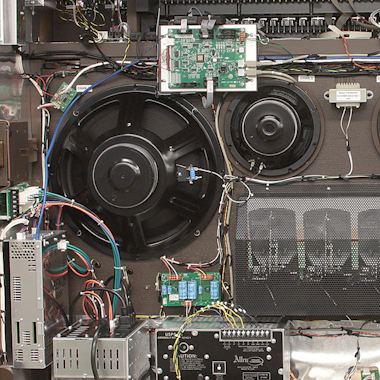 Most organs include obsolete digital reverb, to artificially imitate acoustics. But not Allen. Allen's revolutionary Acoustic Portrait™ produces the "real thing"! 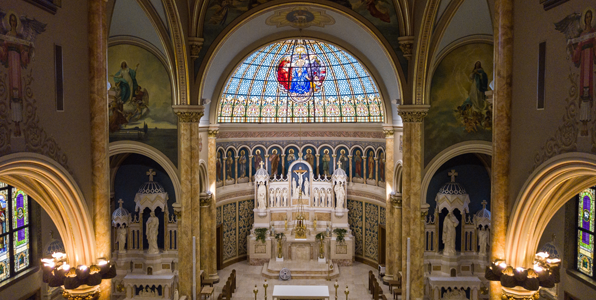 Based on a remarkable technology called convolution, Acoustic Portrait realistically recreates the "sonic fingerprint" of actual rooms ranging from small churches to large, famous cathedrals. 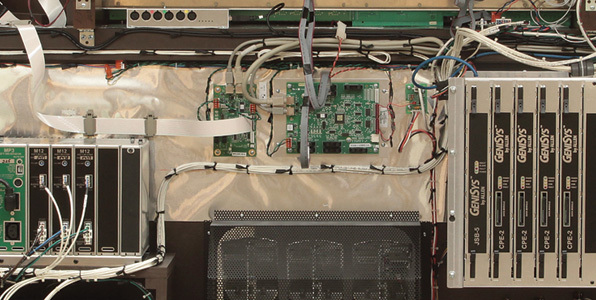 Don't let the acoustics of your room stand between you and beautiful music-making. Acoustic Portrait will add the dimension you've been missing. The World's Finest Sampled Reverb! 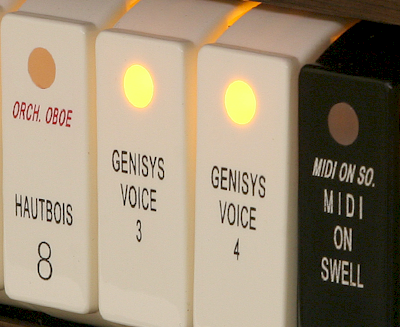 GeniSys Voices™ Provide the tonal diversity of a comprehensive stop list to even the most modest instruments. 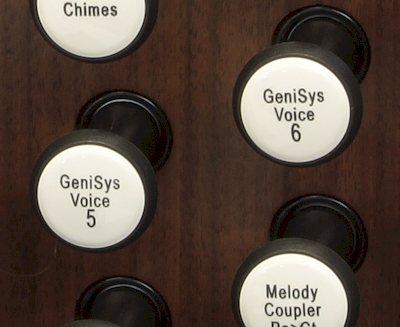 GeniSys Voices set a new standard for organist-friendly operation and include sounds that enhance every style of worship and organ literature!